Camille Souter, the contemporary artist, has lived and worked on Achill Island, Co Mayo, Ireland regularly over the past 40 years. Currently she divides her time between homes on Achill and in Italy. 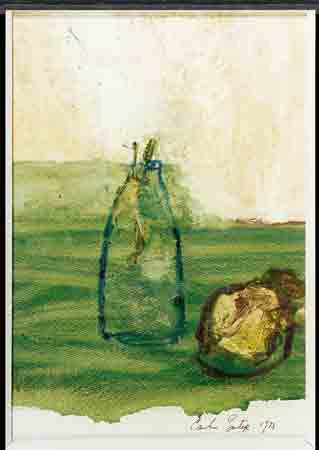 This still life painting by Camille Souter shows a milk bottle and old turnip.